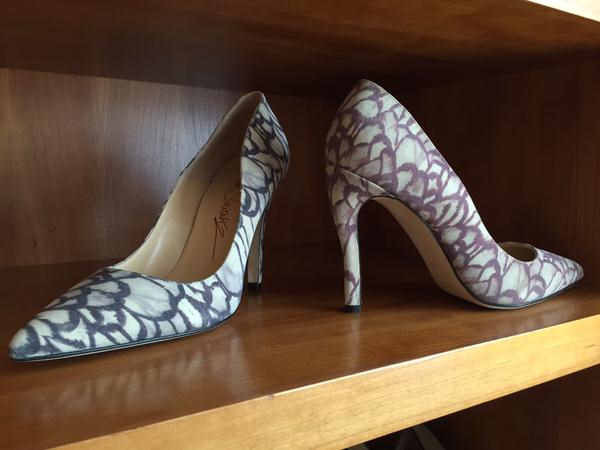 Kemberly Richardson checked out the fashionable footwear on display at the 2015 New York Shoe Expo. NEW YORK -- You've heard of Fashion Week. But if your favorite type of fashion lives on your feet, we have a trade show that was tailor-made for you. We paid a visit to the 2015 New York Shoe Expo. Some believe these are the Eighth Wonder of the World: Shoes, from the whimsical to the way out and the wow. Many designers are displaying their fall 2015 lines at the New York Shoe Expo, where retailers pick and choose what to buy. "A lof of earthtones, flatbeds, tall pumps, embellishments," said Phyllis Rein of the Fashion Footwear Association. Mark Schwartz considers himself an artist first, then a shoe designer. Born in the Bronx, the 56-year old's story is unusual: a chance meeting sparked his passion. "Andy loved shoes, he loved women's shoes," Mark said. As in Andy Warhol, the one who pushed Mark to take his talent to the next level to make shoes his canvas. "I thought he was totally off the wall, I didn't get it. But he had showed me some of his shoe things, I was like, OK", he said. The rest is history, and Mark is out with his first collection..classic with a twist. "Good design has an individual approach and I think you should be able to recognize, whether it's shoes, clothing, teapots, it doesn't matter. It should be recognizable by the person who's done it," said Schwartz. Ladies and gentlemen, you will fall for Lemon Jelly. Not only is the line of water-proof boots and shoes fashion forward, it doesn't have that weird rubber smell. Each piece is infused with the scent of lemon, the perfect ending to a sensational shoe extravaganza. Among the other designers at the Expo are Dee Keller and Adrianna Papell. The latest fashions in footwear are on display at the 2015 New York Shoe Expo, running through Thursday.